Minecraft’s music is awesome – especially the records you occasionally find in dungeons or farm by spending hours getting skeletons to shoot creepers. After a few hours, though, it just becomes difficult to listen to. User Arkif100 has come to the rescue with the Your Records mod, which allows players to create their own custom records containing any music of their choice! 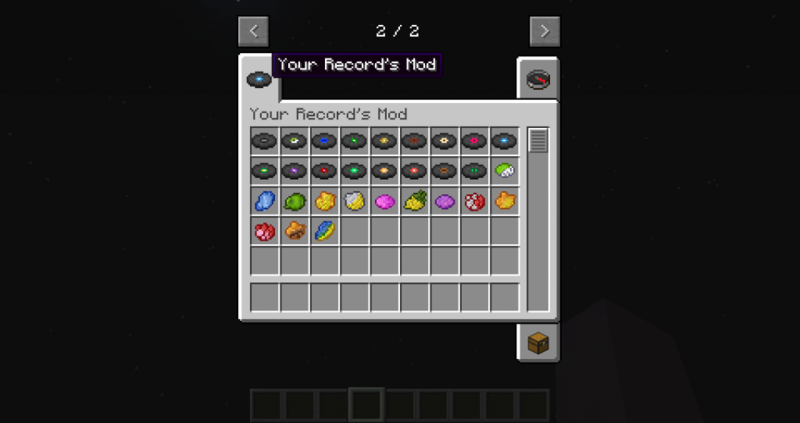 It is important to note that this mod does not erase the default Minecraft records, so if you occasionally want to throw one in, they will still be there. Custom records cannot be found or dropped by creepers; they are instead crafted in two steps. First, one block of obsidian in each of the orthogonal directions (north, south, east, west) must be placed on a crafting table. This creates a blank record. Then, a random dye mix must be made by crafting two dye materials together. Finally, the blank record and the dye mix must be crafted together to create a custom record. Some customization is required before starting your Minecraft client, but once the records are crafted, you can simply toss one into the record player and enjoy! Note that other players will not be able to hear your music, even if they have the mod, unless they have the same exact music file as you. For servers, a simple installer could solve this problem, but remember not to share copyrighted music! Putting your own music into the game is a similar process to installing mods. 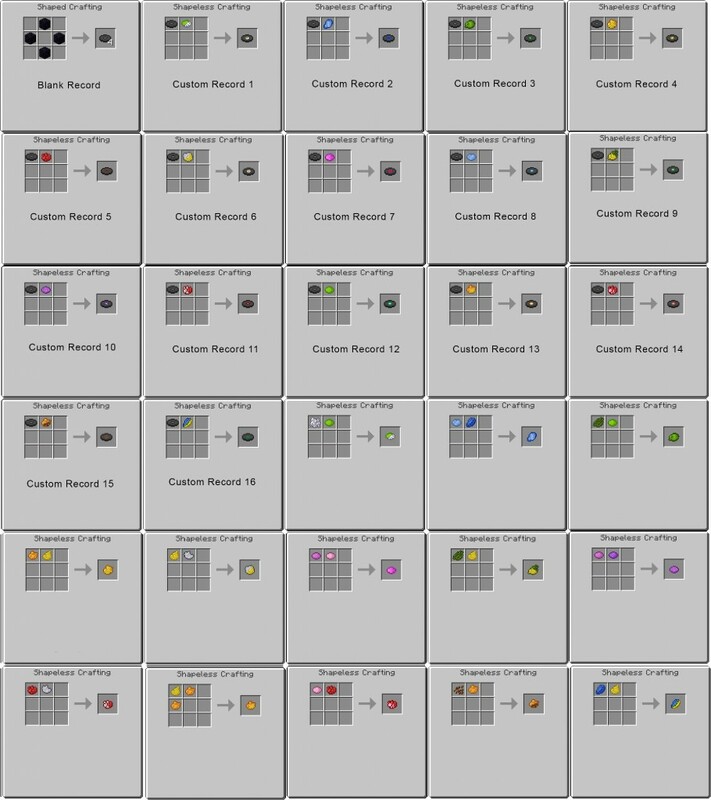 Make a copy of each song you want to include in the mod. You may have up to 16. Convert each song to .wav format using your audio converter of choice. Rename each file as follows: Record 1.wav, Record 2.wav, Record 3.wav, etc. 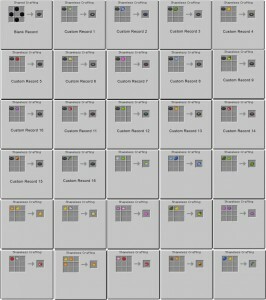 Navigate to Minecraft’s mod folder, then enter the assets\recordsmod\records folder. If you are unsure how to get to this folder, refer to the installation guide below. Place the files into this folder and start the game. The custom discs should now play your custom music. Download the latest version of Your Records from Planetminecraft. Unzip the file you downloaded in step 2 in this directory. What music will you add in to liven up the Minecraft experience? While it is illegal to share copyrighted music, it is perfectly fine to use it for your own purposes – post up to 16 of your choice songs in the comments below!